Rising Congestion! Is now the Time to Buy an Electric Bike? Congestion in cities and towns is rising, fuel and road tax increases are on the horizon, this could be the right time to buy an electric bike. We hear that congestion in UK cities is the worst in Europe and that fuel price rises are set to add £5 to the cost of filling up an average family car. Parking is becoming more costly and less available. An electric bicycle could be a wise investment. Electrically assisted pedalling will enable the rider to maintain speeds of up to 15 mph making commuting by bike a real option. News this week from data company Inrix is that there are more than 20,300 "traffic hotspots" (where drivers have to drop their speed by 65% for at least two minutes) in UK cities - well over double the number in Germany and twice that of France*. Inrix collected traffic information from car sat-navs, mobile phones and road sensors in 19 different countries, throughout September this year. 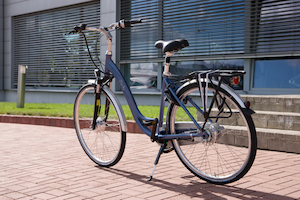 An electric bike from Batribike is classed as a bicycle and can therefore be ridden in cycle lanes and on cycle paths. No insurance, MOT, road tax or licence is required. 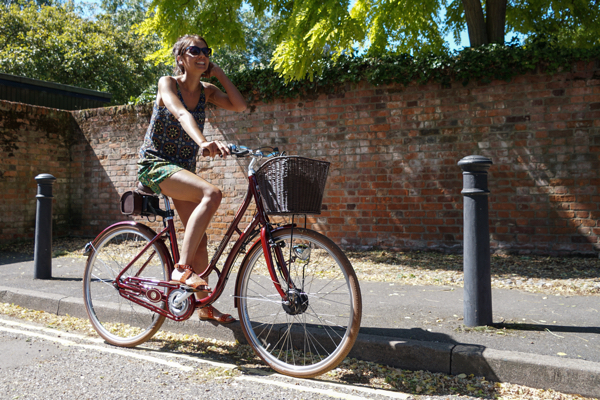 An ideal form of transport for commuting, an electric bike assists the rider allowing destination clothing to be worn, you don’t arrive hot and sweaty! The option to take cycle paths and routes can often shorten a journey and certainly allows the rider to bypass congestion hotspots. The latest 2017 range of European built electric bikes from Batribike are stylish and practical. Ideal not only for commuting, but for leisure riders too. *Findings by INRIX Roadway Analytics.